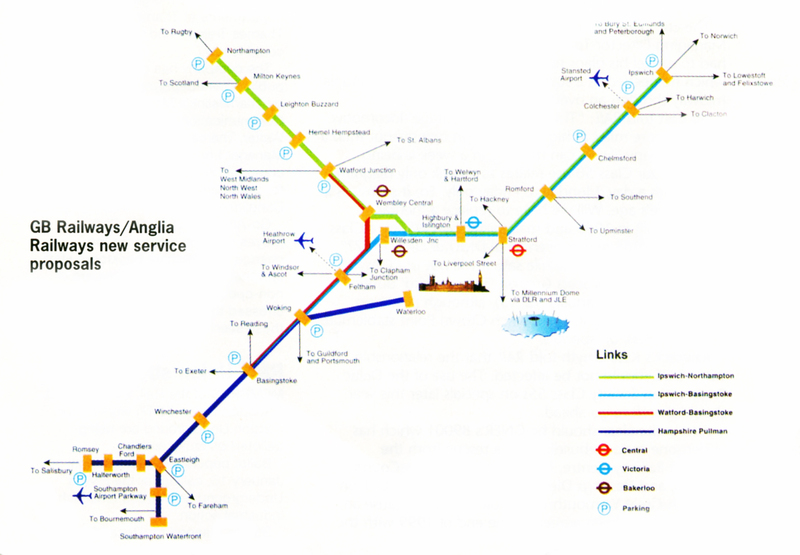 After West Angla routes transferred to London Overground. 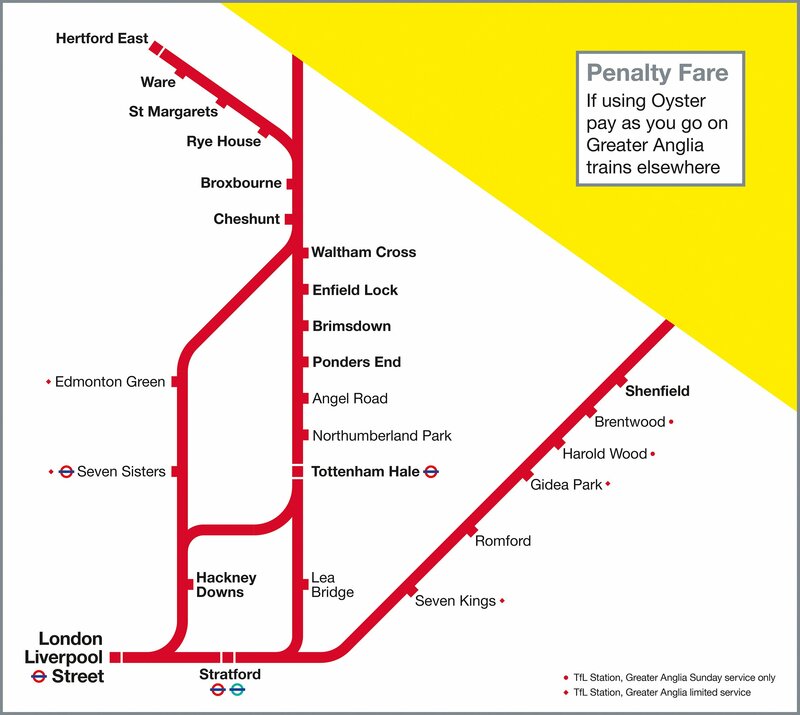 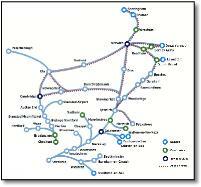 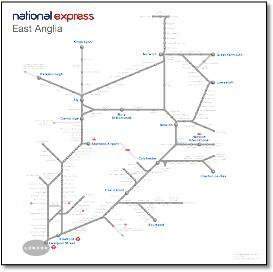 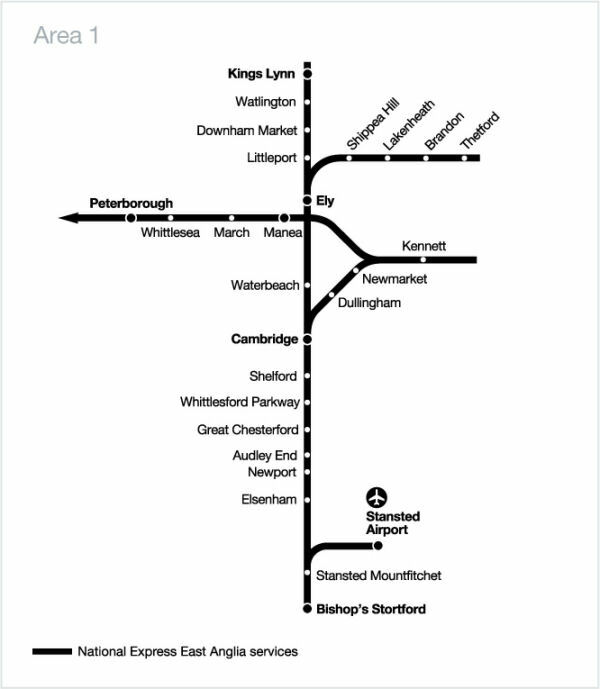 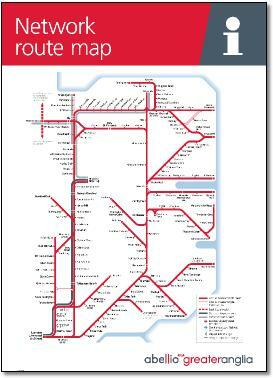 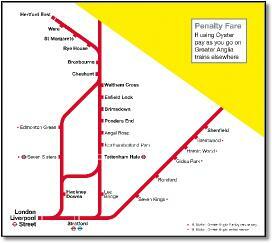 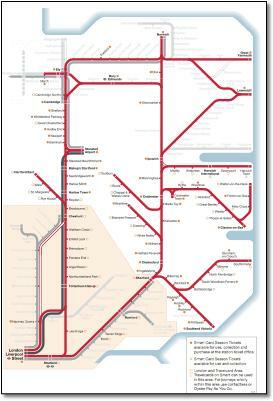 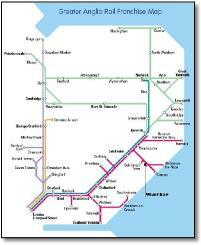 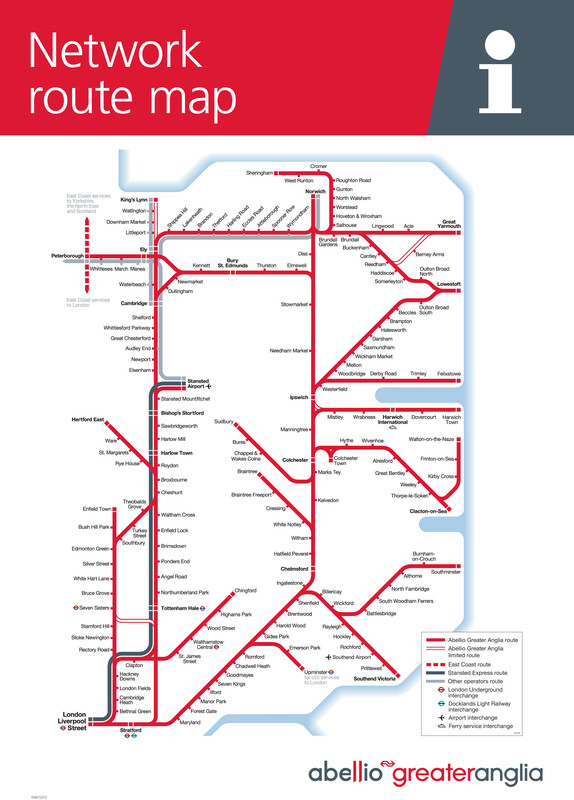 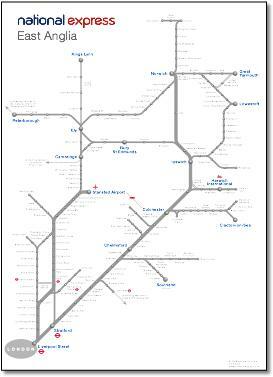 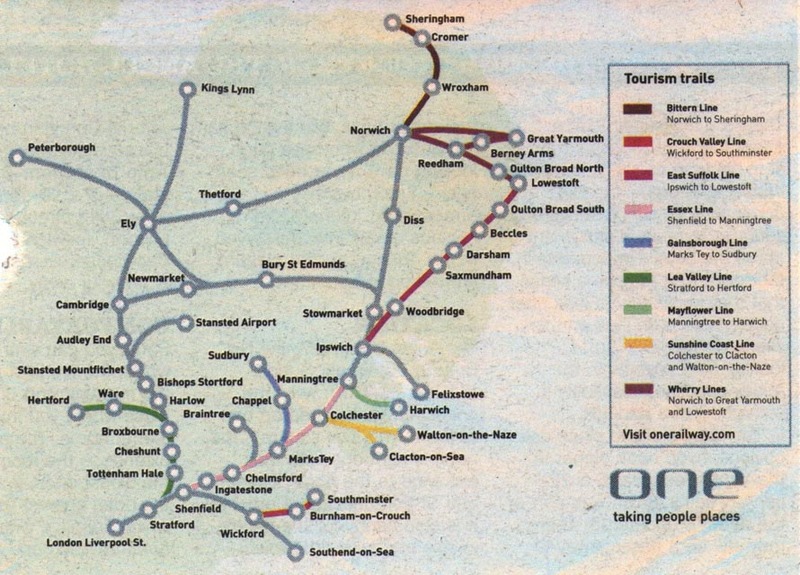 This map designed by FWT for the previous franchise holder 'One' is now used by National Express. 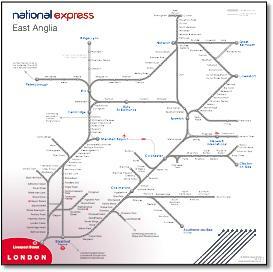 • All lines lead to London, yet London too small, nay invisible, in the bottom left of the page. 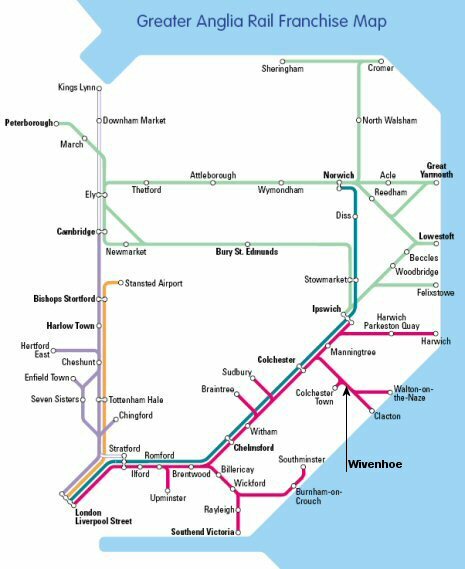 • Norwich too high creating unnecessary bends on Bittern line to Sheringham - line loops around itself in a most unlikely manner. 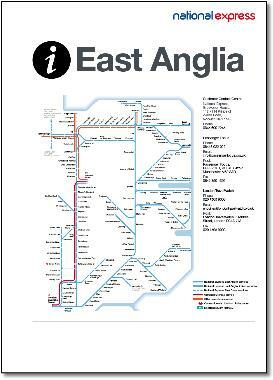 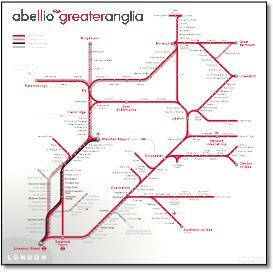 • Lack of effort by the designer on the Ely-Norwich line with the only angled station captions on the map. 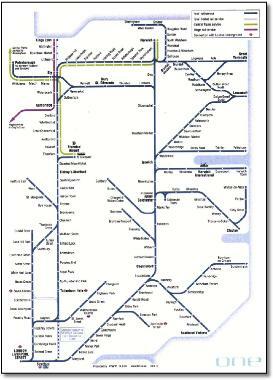 • Doesn't show station reversal in Cromer although it does at Colchester Town (although slightly different situation). 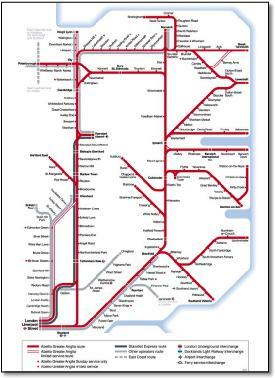 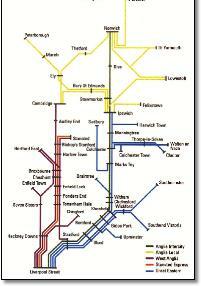 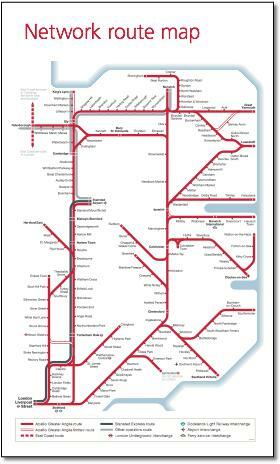 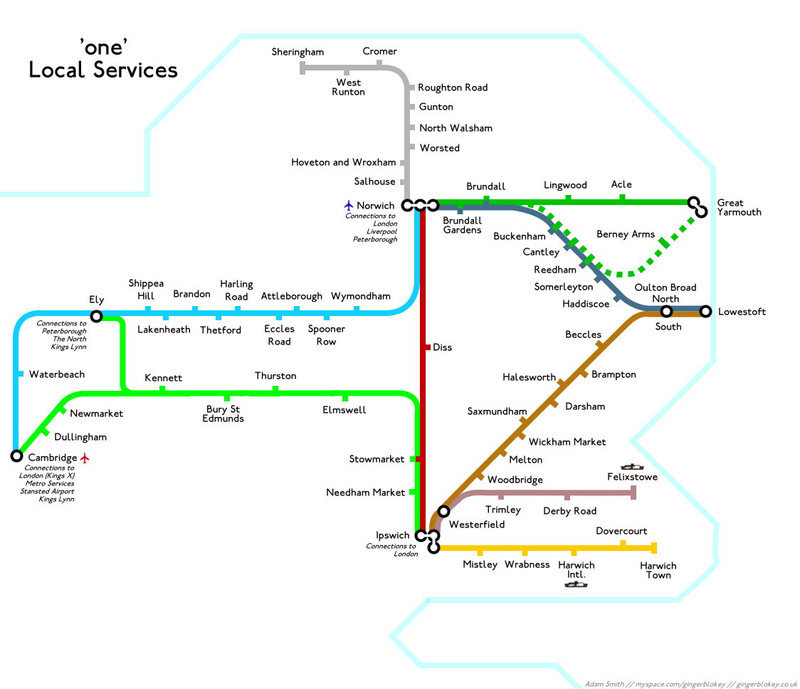 • Shame Ely couldn't be better represented rather than show it as two stations. 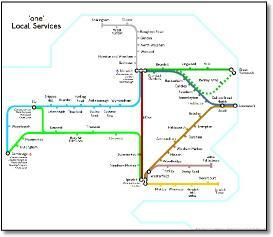 This has meant that when the 'one' map was adapted (or not adapted) for the new NatEx website, Ely is wrongly positioned (see left). 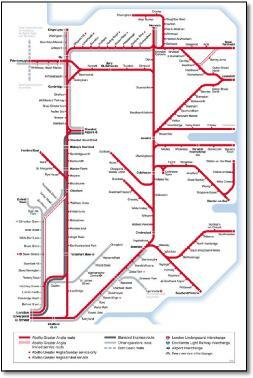 • Daft geographic distortion on Walton-on-Naze branch and incredibly elongated Sudbury branch. 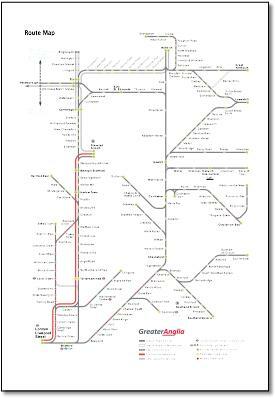 Bury St Edmunds line too high up - Haughley Junction to Ipswich elongated. 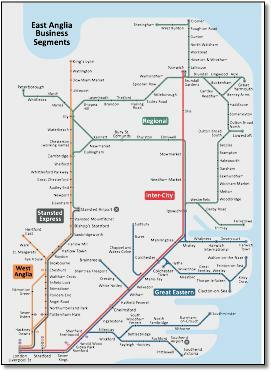 • Harwich International is shown at the inland end of the estuary. 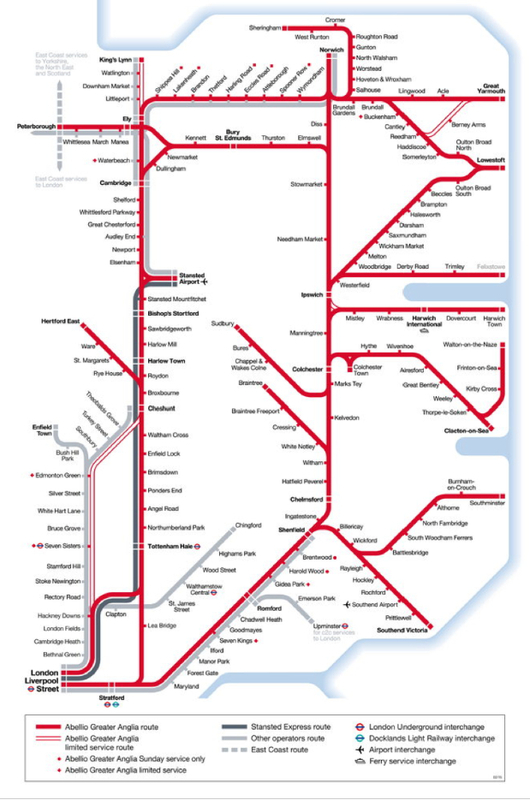 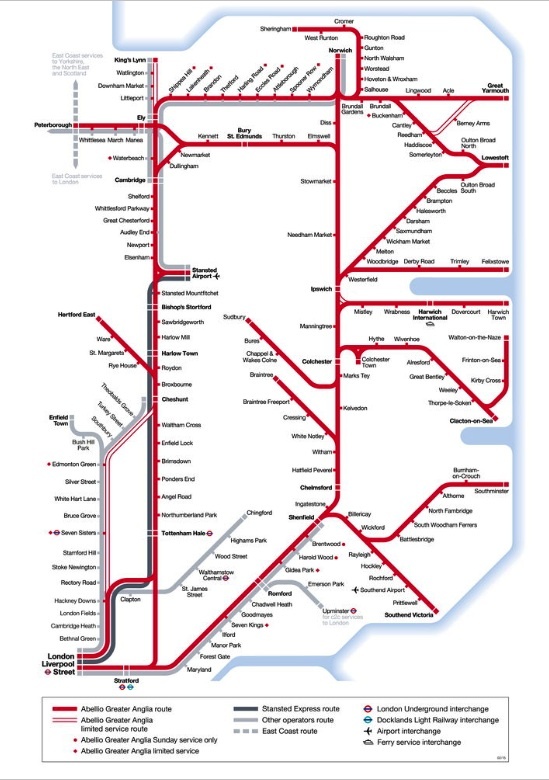 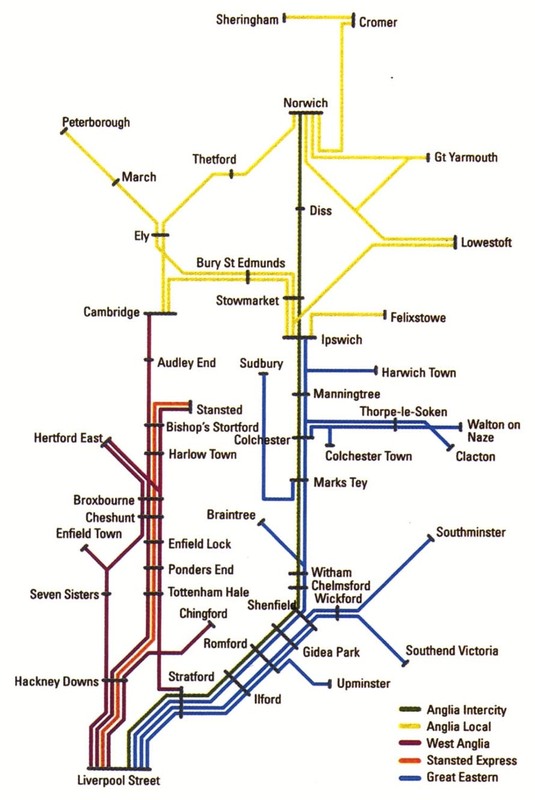 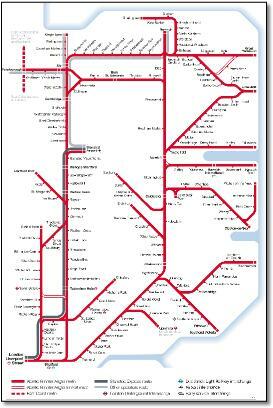 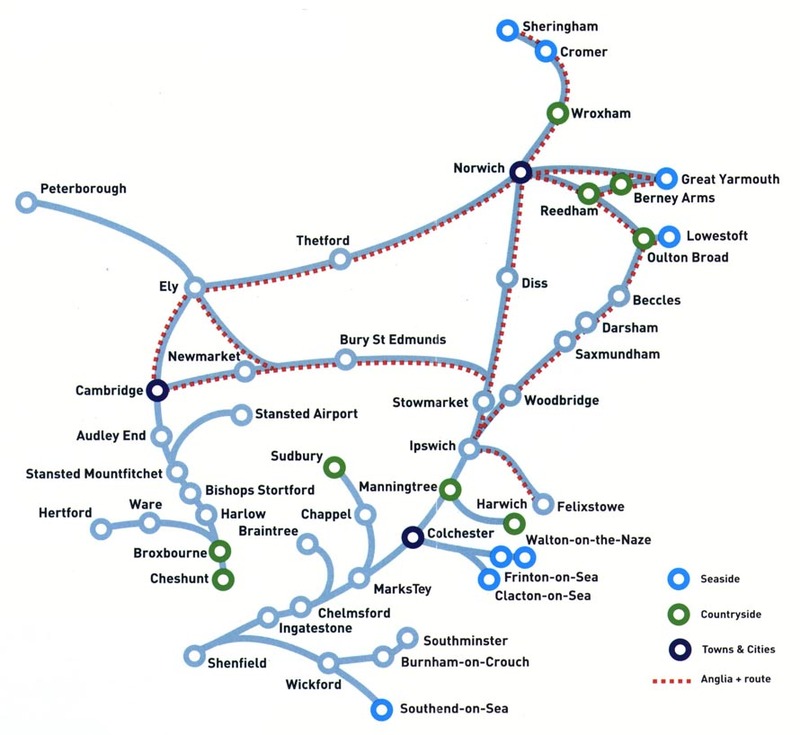 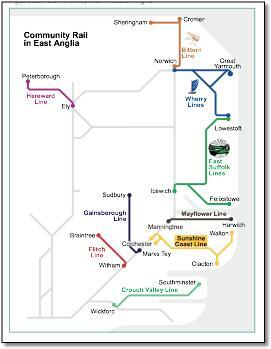 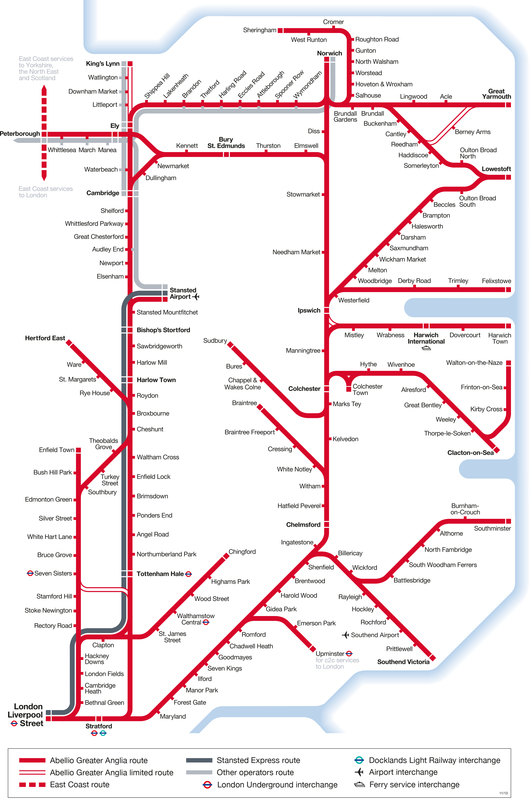 • Station name alignment has changed from being centred (eg Bury St Edmunds and Harwich International) to being oddly flush left (even Great Yarmouth).